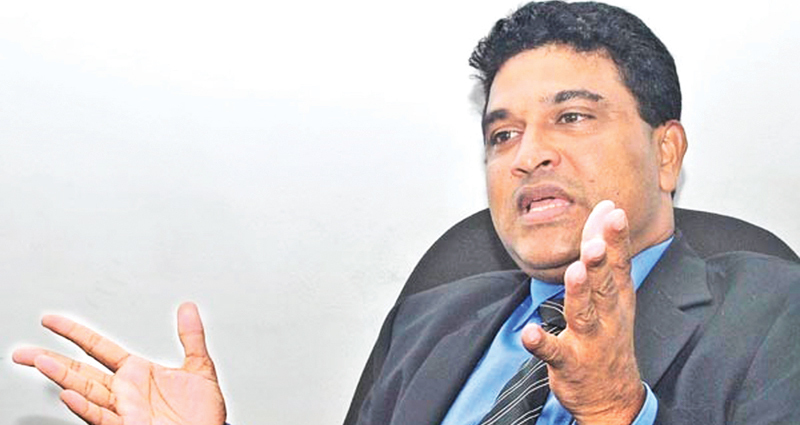 Development Strategies and International Trade Deputy Minister Nalin Bandara said drug dealer activities expanded and reached the crescendo during the former regime.The Deputy Minister told the media that the present government had never shielded or engaged in covert operations to protect drug dealers to save them from embarrassment like the previous government did. He said that main drug dealers during the previous regime were given political protection and backing to Ministers and MPs connected to Mahinda Rajapaksa’s government where wholesale consignments and container loads of drugs were smuggled into Sri Lanka. It was the former President, who flew by helicopter to rescue a politician from the area, when the STF conducted a raid in search of drugs in Negombo. “That is how the previous government discouraged officers from conducting raids.But, we have never discouraged sleuths engaged in drug detection and has ensured that the police and the STF are properly equipped in their battle against the underworld,” Bandara said. It is an undisputed fact that under the administration of the former President, the drug business flourished freely with no restrictions whatsoever. Makandure Madush fled the country since there was no safe environment for him under the present government. Eventhough several people are now trying to take credit over the arrest of Madush, it was a long term plan.He said that if not for the earlier planning, Madush could not have been arrested so quickly. Bandara said he never mentioned a name of any MP maintaining close links with Madush. It was the Intelligence Units which revealed that Madush had returned to Sri Lanka to attend the wedding of an MP’s son. It was also revealed that a politician had taken him to the airport and helped him flee the country.